How lucky are we to have one of our venues located in such an amazing city? Every street corner and brick building has to be every photographers dream. We wanted to share some of our favorite spots around San Diego and how our couple transformed our warehouse. These shots captured the best of downtown San Diego. We are in love with the buildings and their walls made for bridal parties big or small. 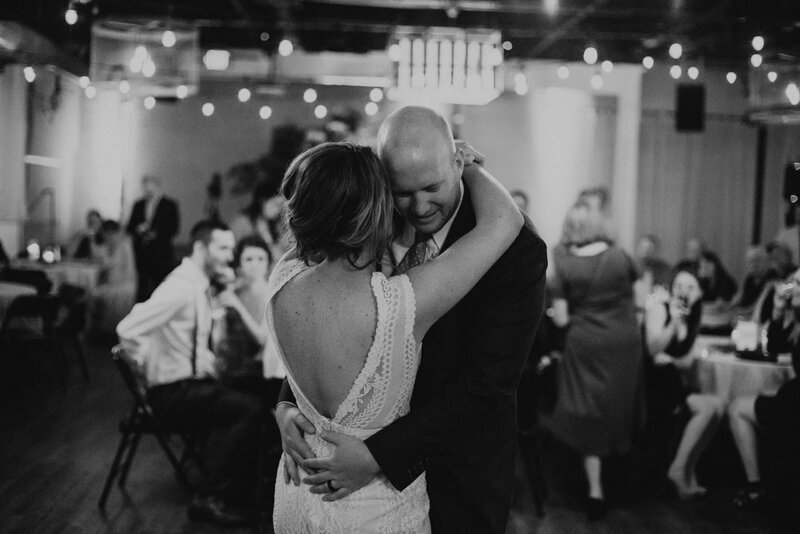 Our warehouse offers the space and freedom for you to create the wedding of your dreams. 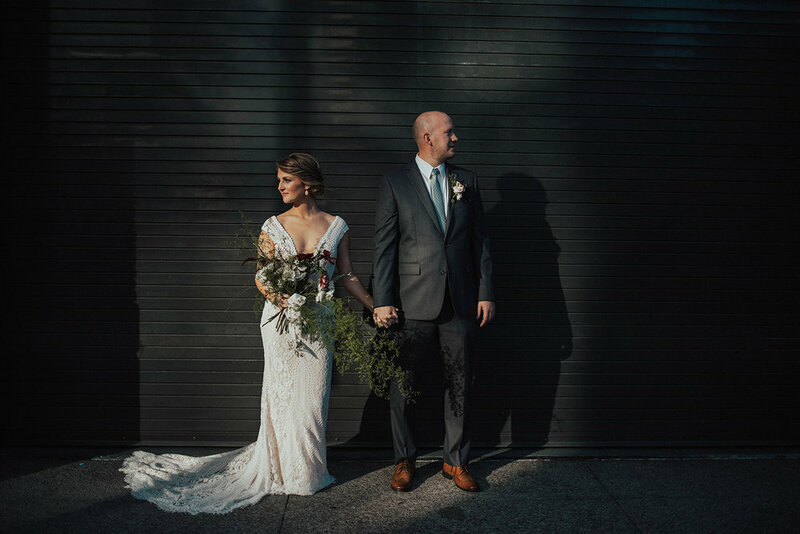 Wyld Blooms filled our venue with amazing greenery to match the rich and earthy tones our bride hoped for. The use of our black folding chairs, 8’x8’ wooden palette wall, and wine barrels made for a classic, minimalistic ceremony set up that we always admire.